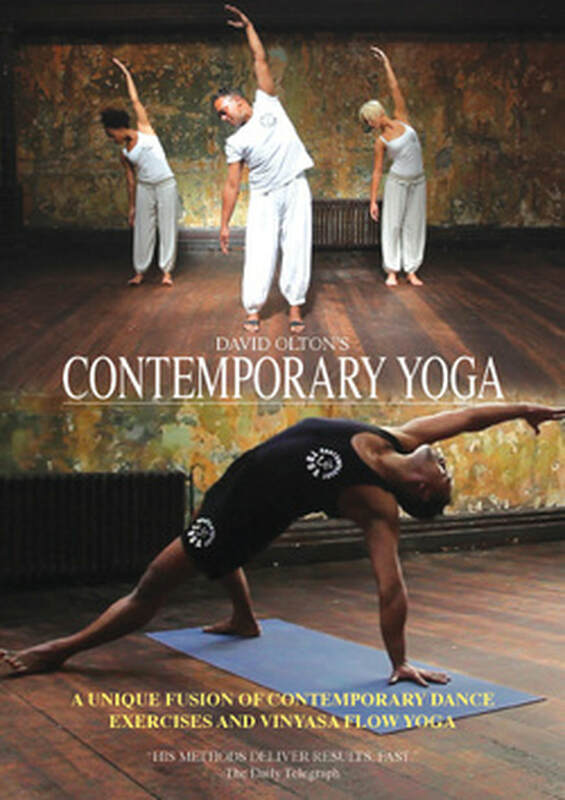 David Olton's Contemporary Yoga DVD. A unique fusion of Contemporary Dance Exercises and Vinyasa Flow Yoga,set to a soundtrack of African drums and Lyrical piano,this workout will leave you feeling re-energised and open. Some prior knowledge of contemporary dance and yoga is advised before embarking with this workout. DVD'S ARE NOT POSTED THE THE USA DUE TO REGION CODE-DOWNLOAD ONLY. To order David Olton's Contemporary Yoga dvd the cost is £10.99 + £1.50 postage to UK.Payment is through paypal only.Click the above Buy Now link to pay. Downloads are available for International buyers.Please click the above link for instant download of the dvd. This is one of those rare fitness DVD finds. I have been doing yoga for a few years now (on and off) and I have never felt so aligned and free with my body until I started doing these vinyasas. Me and a friend now try and make sure we do these at least once a week. David has managed to compile some of his best work, and his strong but soothing voice adds that extra yogic quality to everything. So you feel like you're in the best of hands. The ballet parts are an added extra and definitely help with the toning and strengthening of the core. If you want to feel long, wide, free and strong then look no further! I had the pleasure of doing Yoga classes with David Olton at the Place a few years back, to complement my dance training. After having 3 children DVD's became an option and I've got loads of them. This is by far the best one and I recommend to everyone who is looking for more than just fitness. Superb moves and beautiful music! Beginners should take time to watch, understand and memorise each section before doing it. The more you do it the more you enjoy the flow. I've recently bought the DVD of David, I had the pleasure to follow him when he teach in central London and now I am thrilled to have the opportunity to practice at home as well. The first time I play the DVD I watch all without practice to be sure I understand the sequence and I have to say that the music is very appropriate and follow the rhythm of each movement, his voice is very smooth and the instructions are very clean. The different levels help you to warm up step by step and at the end it is impressive how you do not realize how easy is to finish all the DVD and feel like you want to start again from the beginning. Great DVD, good for all level of fitness. Always feel chilled and energized after working out to this, demonstrated very well. Cant wait for the next one!! 11/10/2012~ pstamatiadouThe best Yoga DVD ever.. I am a yoga teacher as well and got really inspired by david's Dvd! Both a good sweat and a good stretch!